Have you seen animals as mascots for soccer games? 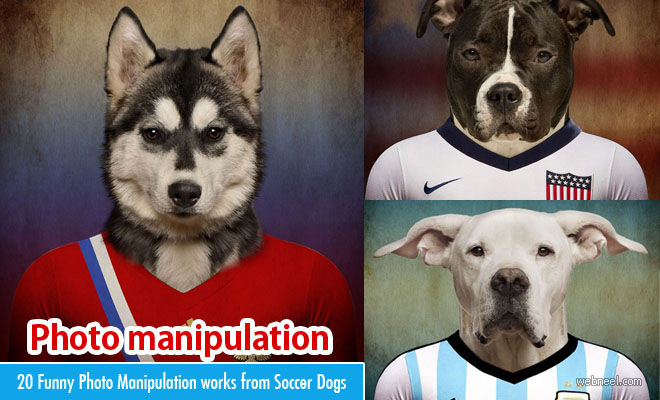 We have included Photo manipulation works of animals which are used to promote the World Soccer Cup 2014. The Photo manipulation works were done using adobe Photoshop. Life on White website promotes photo manipulation works of animals for promoting the soccer games in different countries based their national games. The soccer nations dogs can be seen wearing different jerseys based on the countries they represent. Some examples are like the Shiba Inu in Japan , German Shepherd for Manschaft.